Many of us have become familiar with dementia because we may have witnessed its effect first hand in a parent or grandparent. The condition, which is both chronic and progressive, affects about 47 million people worldwide. Millions of those individuals are right here in the U.S. and in California. Dementia affects all aspects of an individual’s life, from memory, the ability to think clearly, and the ability to live independently and perform everyday tasks. While many elderly people can initially live alone or with a spouse in the early stages of dementia, the disease usually progresses to the point of the individual requiring constant in-home care or to live in a nursing home. It is at this time that the elderly become vulnerable to abuse and neglect. Rates of Dementia in the U.S.
As the Baby Boomer generation ages, many in the medical and public health professions worry that the rate of dementia will skyrocket. However, it looks like dementia rates in the U.S. are actually falling. A study by researchers at the University of Michigan, Ann Arbor, observed 21,000 U.S. adults over the age of 65 between 2000 and 2012. The study uncovered that the rate of dementia decreased 24% during this time period. It was 11.6% in 2000 and 8.8% in 2012. In 2000, the average age at diagnosis was 80.7 years and by 2012, the average age rose to 82.4 years. Researchers and others in the medical and public health sectors found the data to be wonderful news, as it proves that dementia, which is not a normal part of aging, can be prevented. However, the U.S. has its work cut out for it in reducing the rate of dementia. Obesity, high blood pressure, and high cholesterol – common problems in America – are risk factors for developing dementia in older age. Alzheimer’s disease is the most common cause of dementia, though dementia is not always related to this condition. According to the Alzheimer’s Association, more than 5 million Americans have this condition, and by 2050, this figure could reach 16 million. Even if the overall rate of dementia diagnoses slow, there is still a clear need to learn how to prevent Alzheimer’s and dementia, treat these diseases, and protect the elderly individuals suffering from them. Unfortunately, as dementia decreases a person’s mental and physical capabilities, it also hurts that person’s ability to protect him or herself from physical, emotional, sexual, and financial abuse. Without a strong short- and long-term memory, individuals can be easily manipulated and taken advantage of. If a capable adult is not put in charge of the elderly person’s finances, it can be easy for a caregiver or stranger to steal or take advantage of the individual’s propensity to give. Memory and communication issues also make it easier to physically abuse or neglect a senior. When an elderly individual has a poor memory and difficulty communicating, he or she is often not taken seriously. Even if an elderly person can find the right words to communicate about abuse, other adults in his or her life may be incredulous. Has Your Loved One Been Abused? 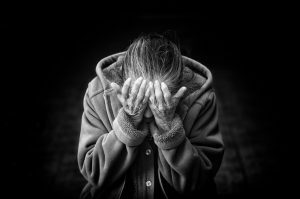 If your parent, grandparent, or other loved one has been neglected or abused by someone, contact a San Francisco elder abuse attorney from Brod Law Firm right away. Elder neglect and abuse may lead to civil liability and criminal charges.